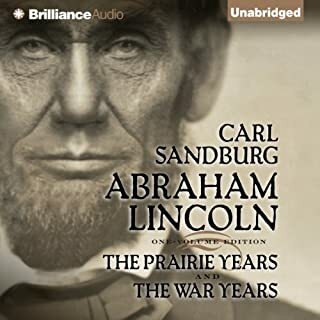 Originally published in six volumes, which sold more than one million copies, Carl Sandburg’s Abraham Lincoln was praised as the most noteworthy historical biography of Sandburg’s generation. He later distilled this monumental work into one volume that critics and readers alike consider his greatest work of nonfiction, as well as the most distinguished, authoritative biography of Lincoln ever published. Growing up in an Illinois prairie town, Sandburg listened to stories of old-timers who had known Lincoln. By the time this single-volume edition was competed, he had spent a lifetime studying, researching, and writing about our 16th president. The decade of the 1790s has been called the age of passion. Fervor ran high as rival factions battled over the course of the new republic - each side convinced that the others' goals would betray the legacy of the Revolution so recently fought and so dearly won. All understood as well that what was at stake was not a moment's political advantage, but the future course of the American experiment in democracy. In this epochal debate, no two figures loomed larger than Thomas Jefferson and Alexander Hamilton. Author of the best-seller FDR, Jean Edward Smith is a master of the presidential biography. 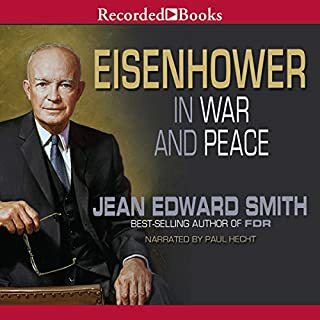 Setting his sights on Dwight D. Eisenhower, Smith delivers a rich account of Eisenhower’s life using previously untapped primary sources. From the military service in WWII that launched his career to the shrewd political decisions that kept America out of wars with the Soviet Union and China, Smith reveals a man who never faltered in his dedication to serving America, whether in times of war or peace. 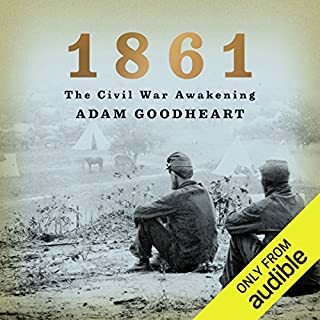 As the United States marks the 150th anniversary of our defining national drama, 1861 presents a gripping and original account of how the Civil War began. 1861 is an epic of courage and heroism beyond the battlefields. Early in that fateful year, a second American revolution unfolded, inspiring a new generation to reject their parents' faith in compromise and appeasement, to do the unthinkable in the name of an ideal. 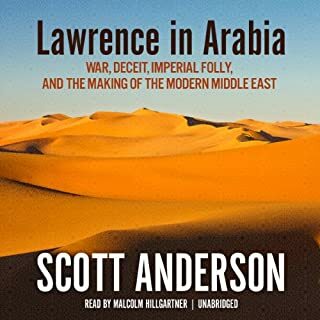 Based on four years of intensive primary document research, Lawrence in Arabiadefinitively overturns received wisdom on how the modern Middle East was formed. Sweeping in its action, keen in its portraiture, acid in its condemnation of the destruction wrought by European colonial plots, this is a book that brilliantly captures the way in which the folly of the past creates the anguish of the present. Winston Churchill is perhaps the most important political figure of the 20th century. His great oratory and leadership during the Second World War were only part of his huge breadth of experience and achievement. Studying his life is a fascinating way to imbibe the history of his era and gain insight into key events that have shaped our time. In 1900, Isaac Monroe Cline was in charge of the Galveston station of the US Weather Bureau. He was a knowledgeable, seasoned weatherman who considered himself a scientist. When he heard the deep thudding of waves on Galveston's beach in the early morning of September 8, however, Cline refused to be alarmed. The city had been hit by bad weather before. 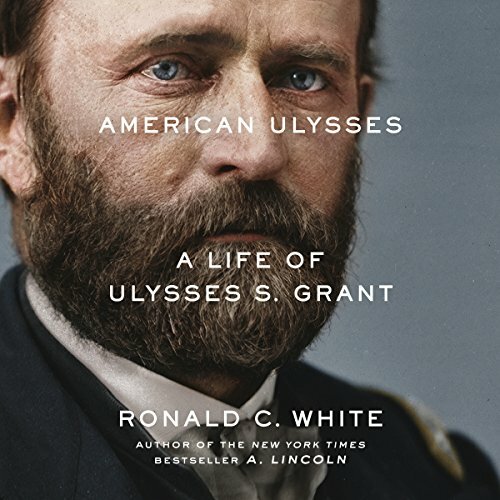 Among the autobiographies of great military figures, Ulysses S. Grant’s is certainly one of the finest, and it is arguably the most notable literary achievement of any American president: a lucid, compelling, and brutally honest chronicle of triumph and failure. From his frontier boyhood, to his heroics in battle, to the grinding poverty from which the Civil War ironically rescued him, these memoirs are a mesmerizing, deeply moving account of a brilliant man told with great courage. The celebrated 2010 HBO miniseries The Pacific, winner of eight Emmy Awards, was based on two classic books about the War in the Pacific, Helmet for My Pillow and With The Old Breed. Audible Studios, in partnership with Playtone, the production company co-owned by Tom Hanks and Gary Goetzman, and creator of the award-winning HBO series Band of Brothers, John Adams, and The Pacific, as well as the HBO movie Game Change, has created new recordings of these memoirs, narrated by the stars of the miniseries. A major new biography of the Civil War general and American president, by the author of the New York Times bestseller A. Lincoln. The dramatic story of one of America's greatest and most misunderstood military leaders and presidents, this is a major new interpretation of Ulysses S. Grant. Based on 7 years of research with primary documents, some of them never tapped before, this is destined to become the Grant biography of our times. ©2016 Ronald C. White. (P)2016 Brilliance Audio, all rights reserved. This is the most insightful and instructive biography I have ever read. Not only does it give overdue credit to a truly great military leader and president and genuinely kind and humble man of extraordinary accomplishment, but it also provides the reader of a more complete and compelling picture of the monumental challenges faced by the nation and it's leader following the Civil War and it's aftermath. This work is must read history. If you could sum up American Ulysses in three words, what would they be? White has enough confidence in his research and ultimately his discernment to render the story in a straight-forward manner that might have pleased its subject. White doesn't besiege the reader with footnotes, counterpoints or what-ifs, instead placing the reader in that time and place, with Grant. The breakout towards Jackson during the Vicksburg Campaign. White is able to capture the intensity and pressures bearing down on Grant, and when, at last, Grant's forces move east when their target lay west, the reader gains a sense of Grant's audacity, nerve and will. I am very familiar with the details of Grant's life and times from other biographies and histories. Yet there is cumulative power in White's writing and his description of Grant's last "campaign" at the close of his life was more moving than any other treatment I had encountered. Any author attempting a comprehensive biography of such a momentous figure has to make choices about length and depth of detail. White's concentration is on the prominent figures on the Union side, and there is a nutshell quality to his descriptions of Grant's adversaries (even Lee). Ultimately that's a justified treatment of the vanquished. White briefly discusses Grant's long banishment into the historical wilderness, as his reputation declined and languished after his death, but White misses an opportunity to explore the context of the ongoing struggle by many to preserve the most imperfect aspects of the United States that led to the war and which continue to trouble the nation on the low boil. The most eye-opening aspect of the book was the depth of Grant's commitment to the rights and protection of the freedmen. If he was late getting there, his absolute, unshakable resolve on this point caused me to seriously reassess his presidency, and gave me a greater appreciation of his remarkable character. Sadly, the significance of Grant is somewhat shadowed in history by Lincoln. I'm the better for listening to this book. Fantastic book and narrator. I loved this biography of Ulysses S Grant. Grant came alive as a person in the early chapters, both growing up, and in his West Point years. His life story is fascinating from start to end, through the Civil War, and his presidency in the tumultuous post-war period. The writing in this bio is great, and I never knew what a heroic man Grant was. Grant is best known for his military genius, and this book captures that well. Grant was a man of courage and integrity throughout his life, and he inspired me as a leader who was ahead of his time as a passionate advocate of civil rights. This biography captured his family life well, but I wanted to know more about how he dealt with marrying the daughter of a slave owner from St. Louis. The years of his presidency focused mostly on the politics of the day, which was fascinating but less personal than the other years of his life. This was a long book, but most of it was totally engaging, and all of it was so informative. The connections to politics today jumped from the page. After listening to this, I have a new American hero. This book was emotionally and intellectually engaging - a great combo. A great man and a great book. One of the most poignant biographies I have read of a great man, general and presidents. Grant and this book are highly recommended. I knew more of Grant the soldier but even them only in the context of other books. I was surprised by his depth, from soldier, General, President, and all around American ambassador and finally author. I also give high marks to the narrator. I have read A. Lincoln but this author and reviewed that highly as well. Ronald White succeeds admirably well in capturing Grant as a student, general and president. There is nothing more difficult than writing about battles, but white makes every battle of the Civil War exciting. Grant's story is a sad one. All, it seems he ever wanted to do was teach in a university. He ended up serving his country quite selflessly. Unfortunately, many people took advantage of his kind nature. I can't wait to see how Ron Chernow will compete with White when his biography on Grant is released later this year. You really need the written book available as reference, otherwise it just gets too complicated to follow from listening. The names, dates, and places gets confusing, especially without maps, tables, or diagrams, unless you are already know them by heart. 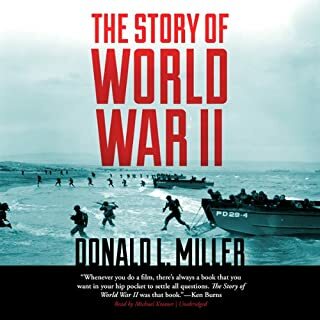 I had the same problem with Shirer's Rise and Fall of the Third Reich, it was a great audiobook but I constantly needed to refer to the written book which I bought soon after starting the audiobook. A great history of Grant! 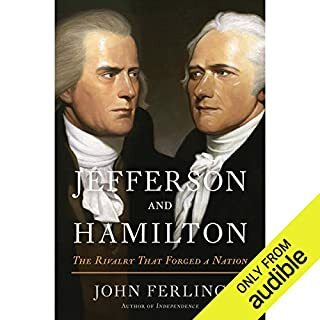 I have listened to a fair number of history books through Audible over the years and found this to be one of the most enjoyable books I've listened to in the last five years. The storytelling is compelling and the reader is absolutely first class. I would recommend this book to anyone who would like to know more about a man whose reputation has become badly tarnished over the years and who is remembered chiefly for his corrupt administration. This book sheds an entirely different light on a truly great American, a man who offered extremely generous terms to General Lee when the general surrendered at Appomattox, and who used his administration and all of his power as President to further civil rights for both Native Americans and the newly freed African-Americans following the Civil War. Americans know the key importance of Grant to the USA, not just as the civil war general but as an effective president and as a role model to future generations who have been inspired by his modesty, honesty and courage. The book is very well read by Arthur Morey. And the author, Ronald White, does justice to his subject giving as much coverage to his life before and after the civil war as to his role in the war itself. White clearly admires Grant and his admiration shines through the work, engaging the readers attention. Only in a couple of chapters was it hard to follow who was who and what was going on, one of these being an account of foreign relations during his presidency. The chapters on the civil war are quite easy to follow as the narrative focusses on Grants own experience and his relations with fellow officers rather than detailed descriptions of battles. Very likely there is much in this book that you won't know already. One such story for me was the invitation to dinner that Grant received from Bismark. Grant the famous war hero and ex-president arrives at Bismarks palatial home on foot, on his own and plainly dressed. Not what the great German and his servants were expecting! Great Man, Great Story, Well Read. I thoroughly enjoyed this detailed biography of U.S. Grant. It paints vividly a man’s traversing of several stages in US history with the nation on his shoulders. Recommend for people with military and political interests, history lovers and those partial to a good story.